If IKEA is investing in it, it's safe to say it's ready for the mainstream. And yet Google has taken a sudden U-turn on the wireless charging of smartphones, having omitted it from the Nexus 5X and Nexus 6P. It's a bizarre move, and the reason Google gives for it is even more bizarre. The two new Nexus smartphones do not support the Qi standard that allows smartphones to be charged wiresslessly, a feature that was present on the Nexus 6 and even the Nexus 5. Qi charging functionality is commonplace among many of this year’s flagships, and Samsung included it in all of its 2015 flagship phones. What has prompted Googles's sudden change of heart on wireless charging? Does the company have a new vision of the future? Far from it, if you believe Android Vice President of Engineering Hiroshi Lockheimer’s explanation in a recent Reddit Ask Me Anything thread. Lockheimer said: "We added Qi wireless charging starting with N4 because plugging in USB micro B was such a hassle! (Which way is up!?) With this year’s Nexii, we support USB Type-C, which has a reversible connector, so there’s no more guessing. AND it charges incredibly swiftly: 1 percent to 100 percent in 97 mins on the 6P for example (the first ~45 mins of charging is especially fast). "Meanwhile, wireless charging adds z (thickness). So, ease of plugging in + fast charging + optimizing for thinness made us double down on Type-C instead of wireless!" Yes, you read that correctly. One of the most prominent figures in Google’s Android engineering team has claimed that Qi wireless charging was implemented because figuring out the right way to plug a cable into a smartphone was “a hassle”. Seriously? There are only two ways you can try to plug it in! And it’s not as though getting it wrong would break your device or lock you out of the system. If you try to plug it in the wrong way, you can just rotate it and plug it in the correct way. Google is not the first manufacturer to grossly overstate this 'problem' in order to use it as an (outrageous) argument in favor of USB Type-C, which can be plugged into a device no matter which way the connector is facing. What this tells me is that Google thinks we are too stupid to charge a smartphone. Before you cry foul and say that Lockheimer really meant faster loading speeds and thinness were the major arguments for using USB type-C, remember this: wireless charging was slower than cabled charging even in the Nexus 5 and Nexus 6, and yet it was still implemented. The Galaxy S6 and S6 Edge, which feature Qi wireless charging, are also thinner, shorter and narrower than than the Nexus 5X and Nexus 6P – Qi charging doesn't always increase the size of a device size beyond what is acceptable for a smartphone. If we dissolve those arguments, stupidity of the end-user is the only credible portion of Lockheimer's statement, because the only variable that has changed is USB Type-C's reversible connector . But I don’t really believe that either. What's the best way to charge your phone? What is the real reason behind the absence of Qi? There will have been other reasons behind the decision to omit wireless charging, but it usually comes down to time or money or both – which would actually have been perfectly acceptable reasons. My problem is the patronizing excuse from Lockheimer. In the recent technology history, wireless connectivity has been a major goal. Google is nothing if not a future-oriented tech company and I don’t for a second believe it is abandoning wireless charging because USB-Type C connectors are reversible, or because it makes devices too thick. It might be gone for this round of Nexus phones, but it will be back. What do you think of Lockheimer’s Qi charging arguments? 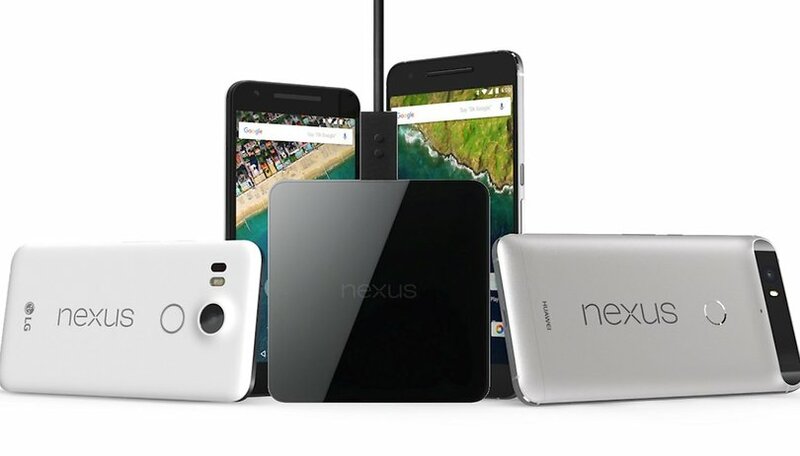 Are you disappointed at the lack of wireless charging in the new Nexus devices? Let us know in the comments. solution would be so easy, put an raised image and a coloured dot on one side of the plug, eventually you'll work out that the side of the plug with the image belongs on the screen side. Also the connector is gold plated pins on a PC board. It would simply be easy to make the connector a stainless steel connector, you could even have made the port missing the middle ceramic, and the port large enough to accept the cable both ways with a magnet to keep it in place and a full bridge rectifier so the cable worked in either way it was inserted? I suspect the true answer lies with LG who made the phone? How many people have broken their charging port, especially on phones > 5", because it was yanked by a charging cable? The port is on a daughter board secured by one screw and two connectors, but you still have to go through -glued on- covers. She is a typical lay person in this regard, not extremely tech savvy, not detail oriented. I can totally see Google's argument for mini-USB being a total hassle, and thus a good reason to have Qi charging. I do also agree it's b.s. that Google couldn't add Qi charging without increasing phone thickness/weight noticeably, *but* if USB-C introduced some kind of wrinkle re: Qi charging that couldn't be solved at the time, that would make sense... Most likely they were just trying to cut out less commonly used features to maximize profit though. We ARE that stupid. Even car manufactures are putting wireless charging in some of it's higher end cars (and I can be it will be in mid level sooner then we thing WINK). I have the S7 edge. I love it and guess what google, it also can be charged via USB and fast charge at that. So, don't be thinking everyone is going to be sticking the new USB docking stations in our cars. So, you can take your "we know better" attitude and shove it. I got the phone for my wife and she doesn't care one way or the other. But when 2 of my old kids asked about getting the Nexus 5x, I said NO. He11 no. Not just because of the wireless charging feature lack there of, but PF is over priced. I'll stick to my unlimited Sprint plans from the late 2000's and stick with Samsung or HTC. 2 kids have apple but seems google is drinking from the same well as Apple. They want to TELL US what WE want instead of listening to what we are really saying. An serious annoyance that Qi is missing on the 5x, nearly didn't buy the 5x for my partner and I didn't for me. Without Qi the USB Type-C is physically more robust and makes it much easier to connect especially in low light and for those with low visual acuity, I think Type C is good progress. That said I was travelling in Europe May/June 2016 and finding a spare USB Type C charge cable was a problem, now aftermarket cables and converters can be found. Thickness is a rubbish reason the Qi charge coils and associated circuitry add very little thickness and seem to fit in the 5x case from the hacks I've seen. It's sad but I really do think some people are that stupid. So for Google in order to be fair to everyone including the really really stupid people they decided to solve the issue like this. They are not calling us stupid only those who would have a problem figuring out a charger. The usb C argument is absurd. The biggest hassle with micro usb isn't getting it right side up, it is the requirement to line it up with absolute precision to fit in a slot with sharp square edges it will catch on if not lined up right. They didn't fix that at all with usb C. I see on amazon a $15 usb C to wireless pad you can plug into the phone and stick under a case (if it is flexible enough). It even claims to support fast wireless charging. You can be sure I'll get one if I get a new phone without wireless charging. I'm looking to upgrade my N5 after 2.5 years as the battery life is now becoming an issue and the camera seems to have deteriorated. I find it difficult to accept that if I upgrade to the 6P I won't have Qi wireless charging as I have just got a new car with a wireless charging point (which I paid extra for!) that I will no longer be able to make use of. I know it is not a major deal but dropping such a good feature IMO is going to cost a number of loyal Nexus customers possibly including myself. +1. And I can't believe adding the Qi coil costs that much. I have an LG G2 from at&t and added the Qi coil to it, plugged it into the USB port and put the aftermarket case back on. For a buck and a half I got Qi charging but it would be nice if it was built into the phone so the USB port would be accessible for connecting to the PC to add and remove music or change ROMs. I assume adding the Qi coil to the phone and manufacturing it with the coil would not cost much more than the $1.50 it took to add it on and tape it to the back of the phone. Even if they added $10 to the cost of the phone, it would still add a feature many people would want and I doubt they'd lose any sales if the phone sold for another ten bucks. The Qi wireless charging is something else that the author has overlooked. I just replaced by Nexus 4 (yes, in 2016, it has been a fine phone) with a refurb Nexus 5 (yes, in 2016, it's a finer phone, and the $160 price tag was swell), partly to keep pocket space reasonable, and yes Qi charging to use the 4 (count 'em) Nexus wireless chargers I have at home and work. Why so many? I hardly ever plug in my phone. Why? Just set it on a pad or orb and let it top off. At the office, where I get up regularly for meetings, and use the phone to connect to a web or phone conference, the phone is a necessary tool. That gets used. That runs down the battery. So dropping it on a charger is a benefit that I reap daily. Take that away, and I get miffed. Tell me my $80 or so invested in chargers is a write-off, and I get really miffed. Tell me I really should go BACKWARDS to plugging in all the time, and I'm ticked off. Bite me, Google. Give me the wireless charging that you sold me on in 2012 and 2013, or I'll go elsewhere. Hmph! So many people were disappointed in the 2012 Nexus charging orbs, I picked some up for less than $20 each, no kidding. And got a WCP-300 (LG's 2012 self-branded puck) for $10. The ability to pick my phone up, put it down, pick it up, put it down, and then run out for errands with a still nearly-full charge, is priceless. I don't care why. When I buy a premium quality phone, I expect it to have all the latest tech avalable. And yes guys, I too hate that the camera is sticking out. Jesus, just make the phone back straight and give us wireless charging! This is the only reason that I do not own this phone right now. Wireless charging is genius. It's never hard to plug in a usb. But when you are in a hurry, distracted or bizzy, you sometimes don't. Or simply don't have two free hands. Later when going out and find the phone battery is almost out. Those times is always a hassle. But with wireless it is never any harder to charge than putting the phone away, and you can always do it with one hand! This is why you implement wireless. It's convenient. Convenience is key! Also, money should not be a factor here. This product has a lot of advantages from other premium phones. They could have had all key functions. And that would probably sell a lot better than slightly redusing the prize by dropping one. He's right. End-users are the dumbest people I know. It's a lame excuse. I have no doubt the real reason was that it came down to Qi or the fingerprint reader. The designers likely had a maximum unit cost they could not exceed and while Qi charging coils are cheap, they aren't free. Personally, I couldn't give two bothers about a fingerprint reader. I prefer to use authentication credentials I can alter in case they're compromised... or at least they can be altered without permanently disfiguring myself. Taking away wireless charging after already having dropped T slots shows that Google is becoming a lot like Apple. They want to determine what we want. I love my nexus 5 but it's unlikely that I'll buy another Nexus phone. There are other comparable phones that do include the features I desire. Notwithstanding the price hikes, the only advantage that Nexus has left is fast updates. Type-C is such a convenience. My Nexus 6 charger has the indent to assist finding the upside, but grab and connect is easier with my 5X. I work in smartphone repair and can tell you that, yes, lots of people break their charging ports by trying to plug connectors in the wrong way around. Especially painful on phone models where these ports cannot be easily replaced. LG's flagship devices are the exception nowadays.